This week, our local meme team, The Wrecking Crew, has published a new game in occasion of April Fool. 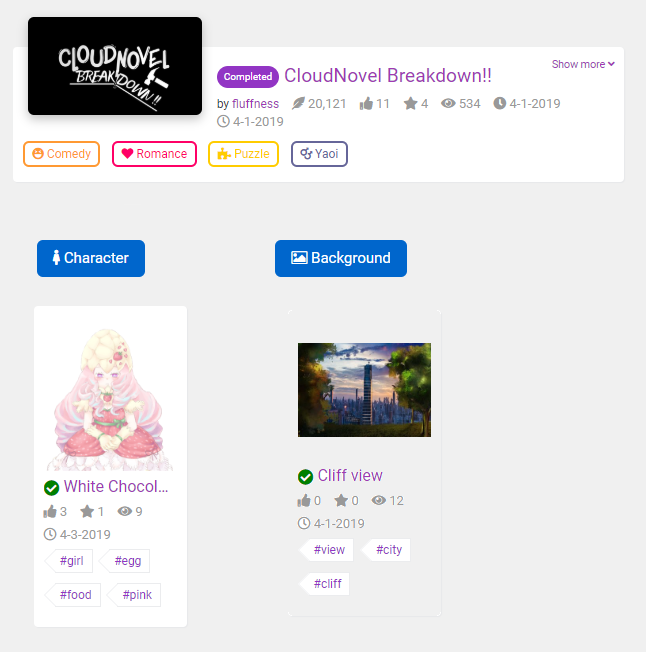 CloudNovel breakdown!! is a comedy game based on CloudNovel itself. The site has been invaded by the bugs you caused and Sonya needs your help to fix the site. You’ll go through 9 visual novels to find the “reset button”, a magic button that might be able to fix the site. Moneyfunny shared with us another adorable character, perfect for Easter. Byaku also contributed with a nice background asset. Previous: Previous post: Thank you for joining us for April fool!